Our test scene is designed to simulate a variety of textures, colors and detail types you'll encounter in the real world. It also has two illumination modes to see the effect of different lighting conditions. 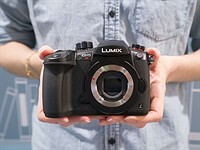 We're hard at work on our review of Panasonic's video-focused Lumix DC-GH5S and have added it to our studio comparison tool. Here's a quick look at how it stacks up against the GH5 at very high sensitivities, and another versus Sony's a7S II. it's a ILC camcorder which can take still shot. 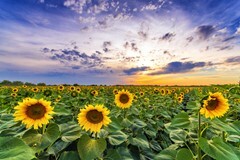 it's primary use is for video and the user can use all the available m43 lens. Pana doesn't call it a camcorder but their add/website on GH5s predominately talks about video capabilities. Canon pro camcorders has EF mount. Maybe DPR should include them in this test to. Contrary to a lot of others I see an 1- to 2-stop improvement over other m4/3rd cameras, i.e. 2 stops over the GH5. I'm also aware that a lot of people just talk about noise, while I talk about colors, tonalities, post-processing latitude and how stable a camera is within the high ISO environments, which usually are much nastier for cameras than any studio test scene can prepare you for. But then all these arguments are nothing new; it is pretty much the same story as with the A7s on repeat. There will be a selected few who see the potential even for still photography, everyone else will be happily flinging the "resize and same result" arguments or roll over it with "still not as good as APS-C or FF", because m4/3rd and such. Hmmm... Why does the Imaging Resource still-photo comparison look WAY different than DPR's studio tests ? I wonder if DPR had the GH5s set to use 2500 native ISO when they did their tests ? 1) I believe IR's image comparison is a GH5S video grab, compared with an a7S II JPEG. 2) You cannot set the camera to different conversion gain modes. If you shoot at ISO 160-640 it uses one mode and when you reach ISO 800, it uses the second. You cannot accidentally shoot in the wrong mode (though you can limit the camera to one of the modes and its resultant ISO modes). It's interesting that the video image quality would be so different from the camera's JPEG results, especially if the video image resolution is close to the dimensions of the JPEG image. Comment on comments: M4/3 guys MUST convince themselves they made the right choice, and FF people MUST defend the obvious: bigger is better. Boring. No big advantage for stills. Nearly the same iso performance at 10mp as GH5. 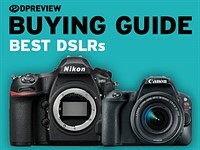 Still behind APS-C sensors like Nikon d500. Far behind any FF. This is to be expected. Still cameras benefit themselves with high resolution but when we speak for video the things will change. There high megapixel sensors do not have any advantage even if they shoot with their whole resolution and resize to 4k. GH5S will have less and bigger pixels and faster readouts. 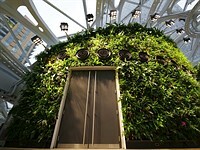 This will contribute to less heat too. Also GH5s have dual readout sensor. With good processing there are will be 1 to 1.5 stop advantage in video. So far not huge difference to be expected. The sensor is still way to small compared with FF sensor. For RAW stills it looks like my GX85. 2 stops behind FF. No miracles here. If the great results are only visible in video, Panasonic perhaps takes advantage of the time domain for better NR. With enough processing power they could use 4 sequential frames in order to interpolate lower noise levels for every single frame. For one output-frame they would need to calculate 4x10.5MPix=42MPix. When will you add it to the (probably more relevant) Video Comparison Tool? I Compared it to the GH5, and the GH5s seems to be MORE noisy. UNBELIEVABLE !!! PLEASE test what camera photos you guys have uploaded, cause this comparometre seems to be seriously flawed. "Where are you seeing that?" I saw it on the comparison chart on yout site. I guess, it may have to down ressing or something on those lines. For photo comparisons. There appears to be some issues with your samples. Anything about ISO 160 on the GH5s seems to have visible noise, and by ISO 3200, it is pretty noisy. 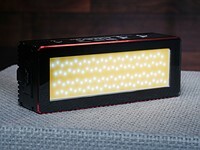 Bigger sensor - more light - that's correct. 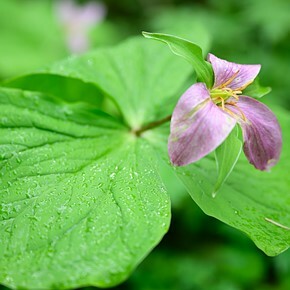 But 1. you can open aperture 2 steps wider and still have good in-focus depth. 2. You can attach full-frame lens via Speedbooster, that gives you another step. Also, while the RAW shows 2 stops in A7S II favor, you cannot shoot RAW in video mode. And for JPEGs 2 stops scale down to 1 stop. This camera is very good at what it's intended for - actually it is pretty much peerless. That doesn't stop the trolls from big silicon coming down to tell us how deficient it is in something it wasn't designed for. Why do you care for what others have to say. Its your money and if you are convinced then it is all that matters. how much is this camera? Some may argue that it's more for video, but the studio comparison tells me it's an overpriced small sensor camera (for stills). Pretty sure everyone can tell that this camera is more for video than stills. If you want a camera for stills, look elsewhere. As obviously this is a camera for video. cinema 5d found there is differences between the beta and production model which the production model have more noise than the protoype. Having said this, they will test much further. I believe IR's images are a GH5S video grab (which includes temporal NR) alongside an a7S II JPEG. @Butler I saw someone else on eoshd speculated GH5s improvement is from "temporal NR". I disagree. If that's the case, the same NR technique can be applied to all other (recent) Pany cameras and get similar results. The whole point of using the expensive Dual Native ISO technology is that the noise level at ISO2500 is similar to what's at ISO400, and at ISO 25600 (4.5 stops above 2500) similar to ISO 8000. That should be available in still mode too, unless the Pany chooses not to implement it. Or the DPR tests were done in high ISO w/o selecting the High ISO mode. That's something you can help to confirm. TIA. Per my other reply to your other comment, you don't get a choice of which sensor gain mode is used for each ISO. You can't accidentally shoot ISO 800 without engaging the higher gain mode. Bear in mind that most cameras with Sony sensors released in the past couple of years also feature dual gain. To me about the same as an Olympus e-M10. Maybe it works only for videos. Whoever is going to buy this camera for stills. Totally uninteresting how it performs. It's only feat photography wise is that it needs only half the pixels for the same IQ on high iso shots as the 20mp m43 sensor. So you'll get smaller files. So, purely a video camera then. This is as clean as N4/3 gets and for stills the 80D is beating it while the KP blows it away - for stills. raw, 6400 ISO common size. No contest, and really no different from any other M43, which is also no surprise. Lowering resolution only reduces noise at the pixel level. It has very little benefit at the image level. But the GH5S certainly produces clean video, so maybe the reduced resolution achieves this by freeing up more processing power for noise reduction? Are we looking at the same comparison? 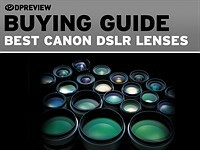 Coz I agree there is no contest, GH5S blows Canon 80D out of the water starting from ISO 6400, while being maybe half a stop behind Pentax and Nikon. Incidentally, GH5S also blows any other MFT camera at the highest ISO settings. Well no we're not looking at the same thing. You're looking at 25.600. Nobody shoots at 25,600 except for experimental purposes. The dual gain has indeed kicked in by then but in the usable range - up to 6400 - the GH5S is still behind the worst APS-C sensor, closer in jpeg. It's a good performance but certainly nothing game changing about it for stills. And all that comes at the cost of ability to crop. It throws away the advantage crop sensors have of getting more pixels on subject. Essentially it's a quarter of an a7RII sensor. Also, you're looking at the low light version while I was looking at the normal light version. Yep, the 80D does particularly badly in that one at 25,600. Ok, let it be your way. ISO 3200, GH5S is significantly cleaner than 80D in the shadows, and only slightly behind the Nikon and Pentax. And you are completely missing the significance that those high ISO samples demonstrate. You absolutely do not need to shoot at ISO 25600 to benefit from that. You can shoot at ISO 1600 and judging by those samples here, you will be able to raise shadows A LOT more than with 80D. And rising shadows isn't some esoteric thing that no photographer ever does. It's one of the most common things to do and a bit reason to shoot RAW. And yes, I was looking at low light version. That's the whole point of this camera. And when you are shooting in low light conditions, guess what? Yeah, you will be dealing with low levels of light and probably a bad light at that. But this advantage will pop up in normal light as well as soon as you start raising shadows. Try shooting a high dynamic range scene and you'll see what I mean. Besides, DPR's studio scene is very flat. Even the low light version hardly stresses any modern camera. >90% of the time you will be dealing with scenes of much greater dynamic range and this comparison tells you very little about that aspect. Yet you are acting as if it were all there is to it. For the 3200 sample I'm seeing the Panasonic producing more green noise, the canon more magenta, at about the same level. It's called "photography" because it graphs light. I'm not sure what the term for ...darkness-graphy would be? Yes it does well in the dark but you're never going to get a pretty picture of the dark because its full of shot noise, and it's darkness. I might be missing your point but you're missing mine. There is no compelling reason to buy this as a stills camera. As a video camera it appears to compete remarkably well against full frame. As a still's camera you're throwing away a lot of resolution for negligible gain. 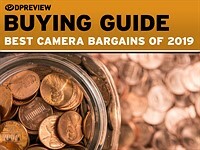 There are other stills cameras that match or beat that ISO performance at the same or lower price. We don't yet know how ISO invariant it is but isn't 3,4,5 stops of that enough? Are you sure you switched to the high ISO mode when shooting the tests at ISO 3200 and above? Right now GH5, GH5s seem to have the same noise level at ISO3200 when resized to 'comp' or 'print', in RAW. And pls add the GH5s to the video comp tool too. TIA. When switched to 'comp' that is the case with nearly all cameras. The exact same situation is true of the A7r II vs. the A7s II. There is no real advantage with stills when downsampled to the same output resolution. Unless of course you're shooting ISO100,000+. But no image shot at that ISO will be a good one, anyway, so it's purely a measurebation competition. See my new post. The results here definitely are off. BostonC - you do not get to choose ISO modes. ISO's 160-640 are shot using the first mode with increasing amounts of analogue gain. Then at 800 the camera switches over to the second mode, then starts to apply increasing amounts of analogue gain. There's no user option to continue to use mode 1 or to jump to mode 2 early and 'pull' exposure. You can limit the camera to the ISO settings that use mode 1 or the settings that use mode 2, but that's all. Say it again, DPR is wrong equating Pany 'Dual Native ISO' w Sony's 'Dual Gain' that's acquired from Aptina. They're very different. Sony does it automatically in the background, but for much limited step-up in ISO, typically at 800 while Pany does it much higher, at 2500 as in EVA1 or 5000 as in VariCam. My original answer included the statement: "You can limit the camera to the ISO settings that use mode 1 or the settings that use mode 2, but that's all." I was referring to that menu option when I said that. 'Low' limits the camera to ISO 800 and lower, 'High' limits the camera to ISO 800 and above. In principle this means it might be possible to shoot ISO 800 in both the low and high gain modes, but that it. Every part of Panasonic's description is consistent with Sony's implementation of Aptina's DRPix dual gain mode. All the diagrams, all the behaviour. All the specs and the appearance of the GH5S's sensor are consistent with it being a Sony IMX294 chip, which would also point towards it being dual gain. The switchover point is ISO 800 (in Standard Photo Mode, which is 1600 in VLog-L mode). After spending two days going through Aptina's Dual Gain whitepapers, I'm certain it's different from Pany's DNI. The former has just one circuit but each photocell has a transistor that does the switch, while Pany's DNI has 2 separate circuits that can't be dynamically switched. Adding to the confusion, Pany's implementation of DNI is similar to Arri Alexa that's unfortunately is also called 'Dual Gain'. I'm talking about the menu option you originally posted the screengrab of. I checked against the camera and it works just as I described in the article and just as I described above. I've also compared the Aptina DRPix white paper to the simplified briefing presentation from Panasonic. Nothing in Panasonic's description, either in the presentation or my notes from the meeting contradict the idea that it's the Sony implementation of DRPix. "Two circuits" is exactly the sort of over-simplification that I was corrected for using in our writeup. The rather simplified Arri writeup suggests its two paths are used in parallel, whereas the Panasonic version is switched, upsteam of the variable gain amplifier: per Panasonic's diagram. I have seen still grabs of iso 100k videos from a7s slog2 which looks darn nice. In fact, in low light I shoot still jpegs using overexposed +2 slog2 profile and do the editing in davinci resolve. Could be. 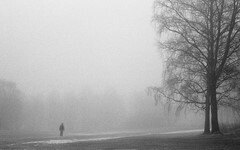 This is a fotography forum and most of us are only looking for stills. Also the comparison Tool is for stills we discuss about. I see no video comparision in this forum up to now. We discuss what we see and for still it is nothining special. ...But if the camera was designed to be a 4K video camera from the ground up, it's going to score quite poorly when measured using still-photo tools. The A7SII performs much better when shooting still photos at high ISO speeds, but the GH5s is a camera that was designed for 4K video work so the results look very different when comparing 4K video at speeds up to 25K ISO. It handles the tricky green foliage/fluff rather well. I don’t do video but..from this exercise, and for my purposes A smallish 35 mm f1.7 lens welded lens into camera (point and shoot) with a m4/3 sensor would be the best use of this medium. Jus sayin, and maybe off topic. Hmm, similar noise to a6500, but a6500 has MUCH more resolution so noise reduction in post will blow GH5s like the a6500 already does at base ISO which is also possible to be set 2/3 stops lower with the Sony. Not what many had expected. The one problem for both the S2 and A6500 in video is that they don't offer 10-bit recording either internally OR externally, which may limit the ability to do NR in post compared to the GH5S internal temporal NR. That said, if the noise amplitude is sufficient in the A6500, then likely 8 bits should be enough as long as you're not excessively aggressive with grading. It's pretty clear Sony doesn't need to do anything "special" as far as sensor tech to answer the GH5S, but they desperately need to deploy BIONZ implementations that support 10-bit H.264. It's unlikely they can retrofit the A6500 and A7S2, but maybe there's a small possibility they can at least deploy 10-bit external. And there goes the myth of the magic sensor. 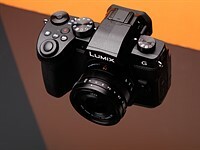 It is now obvious that the Panasonic engineers have some new noise-reduction tricks up their sleeves when it comes to video, but for stills, especially in RAW, the sensor looks exactly like a new Four Thirds sensor should be expected to look compared to a two-year-old 24x36 sensor – slightly less than 2 EV steps worse. The A7S sensor has mythology surrounding it that is completely unfounded, too. For stills, you're better off downsampling low-light shots from the A7r II. Same noise, more detail. I think the original S sensor was back when Sony hadn't deployed gapless microlenses AND they were using older manufacturing technologies that had poor area efficiency at fine pixel pitch. The S sensor was also the first one to deploy dual-gain. Gapless microlenses, improved manufacturing, and dual gain have become standard in all Sonys announced since (and including) the A7R2. The R2 has gapless + BSI, the A6300/A6500 are FSI on a newer manufacturing process and I'm fairly certain are using gapless microlenses - at least it's basically on par with the R3 in terms of performance per unit area despite not being BSI and having a finer pixel pitch. 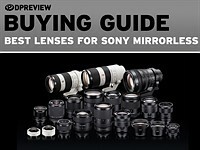 Comparing with Sony A7 II , you see on Panasonic shots a lot of circles on the color circles/targets which do not appear on Sony shots, why that ? Yep, moire. Also, it absolutely is visible on A7 II, even on A7R II and even on Hassy X1D. It's a troubling consequence of Bayer colour filter array employed by the sensors on those cameras. The only cameras not suffering from this is Leica M Monochrom, which does not distinguish colours, and Sigma cameras that use Foveon sensors that do a full colour capture (for Quattro, it's "kinda") at each pixel. The RAW files look terrible, the jpegs look great. What's up with that? Is dual iso used here? Sensitivity only as good as the Sony a6500, but the a6500 downscales video from 6k to 4k, so will be sharper. Definitely not at the level of the a7sII. The 4K video from the A6500 is dramatically sharper than the video from the A7s II. Does that make the A7s II "definitely not at the level" of the A6500? I meant the GH5s is not clean at the same ISOs as the A7sII, and also not as sharp as the a6500. Still worse than Sony or Fujifilm 24 Megapixel Aps-c sensor. Not for 4K video it isn't. Are we looking at the same images? I'm seeing 0.1 stops behind APS-C and barely more than 1 stop behind FF. Definitely not 2 stops. We don't typically need ISO 12800 when things are well lit, so the daylight simulation setting is a bit irrelevant. Well, yes, the ISO12800 is kind of irrelevant, because I don't use it in low light even on FF. But the a7sII gives a very similar result at -2 stops. Are there any video oriented 10mp APS-C cameras to compare with? They (crops) are all really bad at 25600. Obviously a 24mp sensor is going to beat a 10mp one for detail! Looks about average…No pixels were harmed. Both shot at f/5.6 and 1/40 s at 12800 ISO, but one with 43.27mm image circle and one with 21.6mm. The GH5s is shot with a much higher debth of field. IR are talking about 4K video recording, NOT still photo performance. Take a look at actual VIDEO tests and you will see things are very different compared to still-photo performance. I did compare the GH5S with the E-M1 MkII in RAW. I used the "Comparision" mode, which means, that both images are shown in the same size. For me it seems, that up to ISO 25600 the E-M1.2 has slightly but definitely less noise in "Daylight Simulation" and vice versa (especially blue noise) in "Low Light". So I can use my E-M1.2 and downscale the images to get the same HighISO-quality. The "Daylight Simulation" is not very useful to anticipate real-world results. 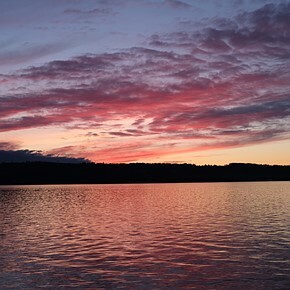 Unless you generally shoot during the day at ISO 25600 with a 10-stop ND on your camera? The "Low Light" sim is the only one worth using, imho. Most direct correlation to my experiences actually shooting different formats in low light. I failed to see its value compared to GH5, 240FPS vs 180FPS? Better noise reduction in video? It's not only noise reduction. The way the data is read out from the sensor is different for stills and video. So is processing of that data. And check out shadows in low light scene at high ISO. The difference there compared to GH5 is very much obvious. 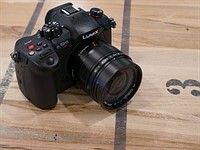 The E-M5 is 1.5 y older and is basicly the same as the E-M1 in IQ. The E-M1 has other advantages though. Call me blind, but I see about 1 1/2 stop difference in noise from GH5s to A7S II. Not bad at all, considering 4x smaller sensor! Shame it has no IBIS, though. Yep, that's about what I'd say. RAW still comparisons are also never favourable to these video-focused cameras. The 42MP A7r II looks at least as good, if not better, than the 12MP ultra-low-light focused A7s II until ISO 12800. It's only arguably at ISO 25600 that there's any reason to pick the A7s II, and only at 51200 when the argument becomes definitive...but still less than half a stop difference to pick between the two! It's pretty clear that Panasonic has invested their resources in the video codecs to make the sensor look good in near total darkness. 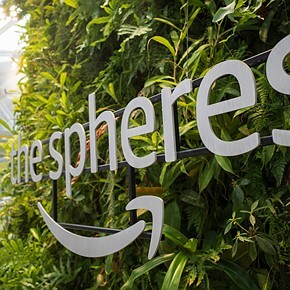 Depending where you look, up to 2 stops, which is exactly what to expect for a 4 times smaller sensor with similar efficiency per unit sensor area. Yeah, it's +2 stops in the areas that have a lot of light. Those aren't the areas that you'd expect to have intrusive noise. Strangely enough, it's the darkest shadows where the GH5S does best, shrinking the lead to just over 1 stop. That's a very counter-intuitive result for me. Usually the deep shadows are the worst. That still looks to be roughly 2 stops, but I wouldn't judge noise in corners, because that's where light falloff (and possible under the hood correction) of lenses comes into play too. What's the type of magic sigma did with sd sensor ???? It's a Foveon sensor. An entirely different kind of sensor that uses 3 coloured layers rather than colour sub-pixels. It has terrible sensitivity (i.e. ISO performance), but miraculous resolution, since each pixel has total R, G, B colour information, whereas all other sensors need to average out and interpolate that colour information from neighbouring pixels to "guess" what colour each pixel actually is. Other than too much hype for high ISO performance, I really do not see any meaningful difference than older MTFs such as Olympus EM5.M2. AT ISO 6400 the 7 year old sensor in the GX85 looks almost the same compared to the new GH5s. Great Achievement! I see no improvement at all. It's still 2 stops behind FF sensors, just as all previous sensors 1/4 the size of FF. I see, you say that two stops gives four times more noise. I wasn't saying that here, but essentially yes. If there is 2 stops less (i.e., 1/4 as much) light the amplification needs to make the signal 4 times as high, which makes the noise 4 times as high as well. The GH5s was designed for VIDEO work not Still Photo work. Things look very different when you compare 4K video performance. We are talking about noise level, and it is not doubles with the total amount of light, it is increased with the ratio of the square root of the total amount of light. This is the reason that, overall you have to double the size of a sensor to get 50% noise benefit. With doubling you will get double the amount of light but the noise ratio is only 50% better. At least this is what I've learned from Great Bustartd's articles. 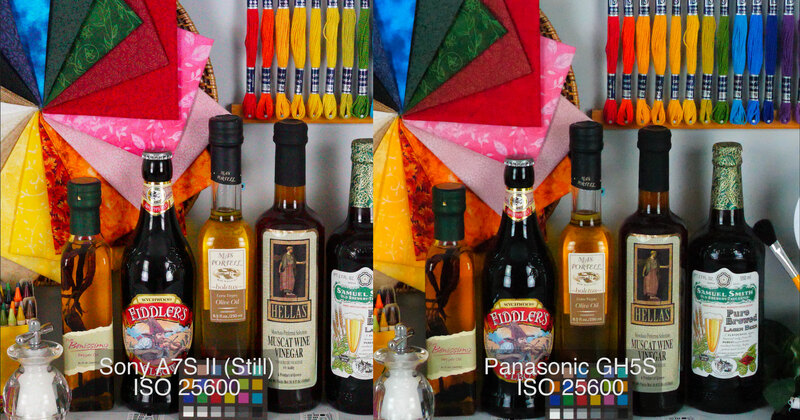 here is ISO 3200 vs ISO 12800 that is a multiplier of 4x. Interesting. This camera isn't better at high ISO in stills than the EM1ii at all (a bit worse-solid half-stop behind. Set it to Comp)... but somehow it competes with the A7Sii in video high ISOs (6400 and 12800). You are not getting more details here compared to the old E-M1 at ISO 25600 (on this test scale). So image quality is NOT ANY BETTER, It is not a photo camera by any means. 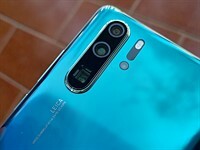 This is purely Video camera fit inside photo camera body in hope that some photographers will pick it up (which would not happen should it be released as a video camera). Outstanding achievement and progress for the m43 sensor that now it is only 2 to 3 stops behind a full frame. This is truly the most that has even been milked out of this sensor in terms of higher iso. Yes. That is normal. Since a m43 sensor is four times smaller than a FF sensor, its noise level is only two times behind FF, definitely not three. Nothing special here, pure laws of mathematics/physics. Miki, its noise level is 4 times (=2 stops) behind FF. Marcus, my understanding was that the noise level decreases with the square root of the total amount of light; I might be wrong. Maybe, Great Bustard chime in here. Yeah, it's a solid 1.5 stops behind the A7s II at high ISOs. Still a pretty good result, really. I was expecting more improvement than this when comparing to GH5/G9 in raw. Why? Video is benefiting from state of the art noise reduction, RAW files - not really. That's one giant step for Four Thirds, one small leap for industry. Comparing the G9 to the GH5s at ISO 6400 i would give the edge to the G9. 4.5 years is not that long. Why pick the worst examples? The GX85 does not have a 7-year old 16MP sensor. That would be the GF6, which is specifically the example that I posted to show the improvement. 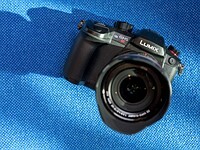 That sensor debuted in the Panasonic G3 in mid 2011. The GX85, by contrast, has a significantly improved 16MP, that generation of which debuted on the GX7 mid 2013, so 4.5 years. It absolutely, quite easily compares to the X-T20. It is, being charitably, 1/3 stop behind. But it's very difficult to tell with X-Trans sensors, because the demosaicing does significant chroma noise reduction in Adobe Camera Raw, which DPReview uses for its comparison. What you are seeing what you say it is worse is colour noise, not luminance noise. You demonstrated this by claiming that this is no different than GX85. I just clicked your link and switched to low light scene setup, and the difference between those two models is very much obvious and easily 1 stop. I then switched to a6000, and GH5s is clearly better. Then a6500, and they are basically identical. Above ISO 6400, I really don't see any noticeable difference between GH5S and the best of APS-C cameras. I bet you would not be able to tell the difference between them in a blind test (Fuji notwithstanding, because X-Trans). And comparing to Fuji is just plain silly. If you'd apply similar chroma noise reduction to Panasonic's image, it would be no worse than the one from Fuji. I get your point. But we need to differentiate two things: signal to noise ratio for standard grey and dynamic range. And the G5S creates this contradiction. The SNR is not better than other, even older, M43 sensors. It is also one clear stop behind the APS-C competition and two stops behind FF. The dynamic range on the other hand exceeds all other M43 sensor on the market. (At high ISO) and as you explained rivals the A6500. What does this mean in real life, at high ISO? Properly exposed subjects will show a similar amount of noise compared to other M43 sensors and more noise than APS-C sensors. 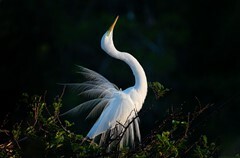 But shadows and dark parts of your image will show less noise compared to other M43 cameras. Does that matter? Depends on your subject. This is Stupid Photographer descript about Cinemotographer tool,LOL. if you are doctor you talk Measuring Tape is garbage ha ha ha. @panther fan: This "less" noise becomes easily visible down to the point that this even shows in the studio test scene. For example, the GH5 shows no blacks at ISO6400 "low light" scene, because the noise floor is getting into the visible parts of the image already (i.e. would need corrections of some sort). It will show in the post-processing capabilities, colors, tonalities etc. However, all this mumbo-jumbo is something close to noone talks about, because the main decision factor for high ISO (supposedly) is noise, or, if we want to be more precise, "grain", because most of the noise we perceive and call noise is shot noise, whereas these mumbo-jumbo things are results of limitations in the SNR/DR department, i.e. read noise. Good detail considering the MP's and sensor size. Shame that it's buried under all that noise. Yup. There were pretty strong hints at temporal noise reduction in the first low-light shootout (such as the city lights behind the Christmas tree at around 2:00 in DPR's video), this makes it clear that's how the GH5S managed to keep up in the first video tests. Sony REALLY needs to move to 10-bit for future releases. Yes, for still photo work APS-C and FF cameras are significantly better. ...But things are quite different when we switch to 4K video recording at ISO speeds up to 25K, where the GH5s reveals what it was designed to do. Who needs a 10MP cam with thislow light capabilities ? No ibis and at a pricing point i could by a Full frame camera? O, please.. You must be smoking some serious stuff. 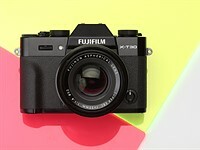 This is aimed for video, the X-T2 is a joke at that department, actually Fuji as a company is a joke in that department. And you can buy 5 medium format cameras for the price of a "quite decent" FF camera. What does that have to do with the price of oranges in Guadalupe? Thats realistic facts. The comparision is for pictures simple look at it nobody is talking for video, right? This camera is 90% for video 10% for photography. It's like saying "this Ferrari is horrible for rough roads so it is horribly bad. I can buy 10 Toyota Hilux instead". Miki, try to read what I wrote carefully. This is a video oriented, specialized camera. Comparing it with photo oriented FF cameras is utter wrong. Panasonic produces G80, GH5 and GH5s at the same time. You can choose, instead of crying. 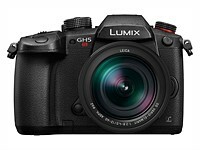 The GH5S is heavily video-focused Micro Four Thirds camera, but nevertheless we were interested in its still photo output. And so, we've added a full stills sample gallery to complement our existing video tests of the camera. 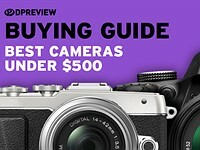 Now that we've spent some time with Panasonic's video-centric Lumix DC-GH5S, we've added it to our 'Best Cameras for Video' and 'Best Cameras over $2000' buying guides.